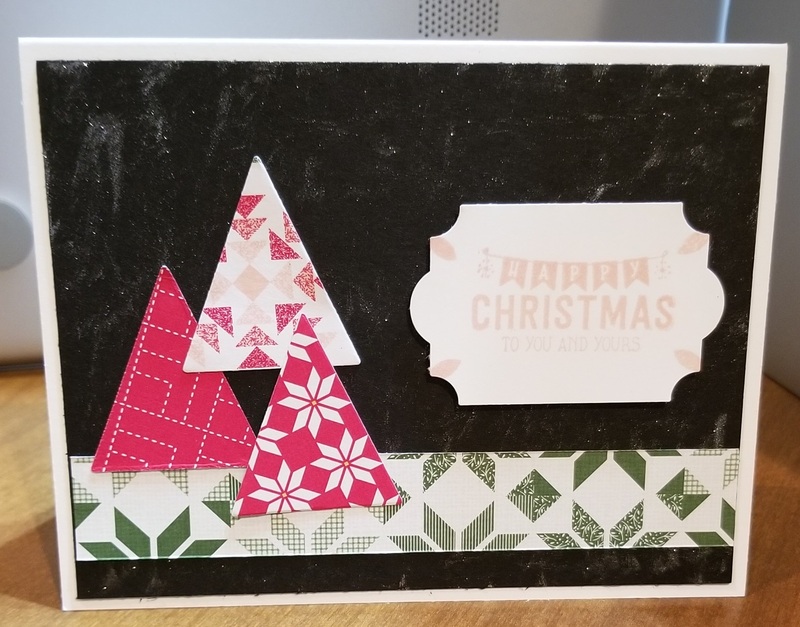 I was inspired by Sandi MacIver’s tutorial on how to do a bridge card. Our Chandelier thinlits and Christmas Staircase thinlits spoke to me for this card. I wanted to show off the pretty silver Christmas tree without blocking it and yet have some sparkly bobbles! 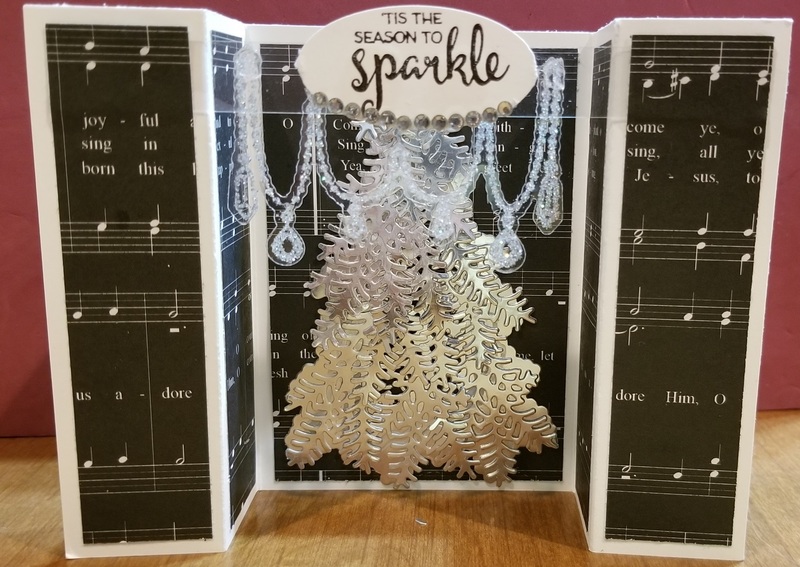 I used window sheet pieces and stamped with Versa Mark some of our heat & stick and dazzling diamonds glitter for the sparkly bobbles from Season to Sparkle stamp set. One thing I thought of after I completed this card was to find a way to make a color wheel (like we had way back when!) I will post again when I figure that out. Adhere DSP to card base from left to right as cut leaving the 2 outside 1”x4 ¼” pieces loose at the top. Apply a strip of Tear Tape at the top of the 2 outside edges of the card base. Do not remove the covering on the tear tape, you will be connecting your bridge piece there. Window sheet – cut ½” strip off. 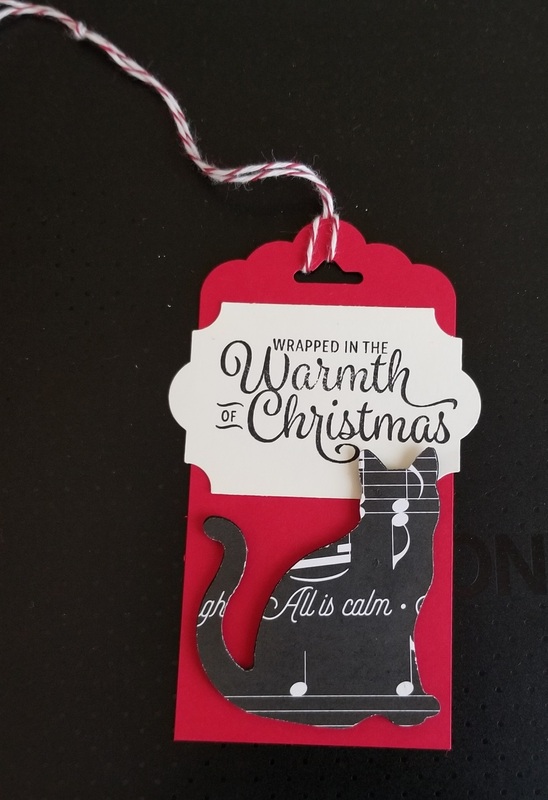 Rub the embossing buddy over the remaining piece and stamp the swoopy bobbles on the window sheet with Versa Mark ink, quickly cover with Heat & Stick and set with the heat tool. Quickly dust with Dazzling Diamonds glitter (shake off excess) and set with heat tool. Use glue dots to adhere the bobbles in the center of the 1/2″ strip. 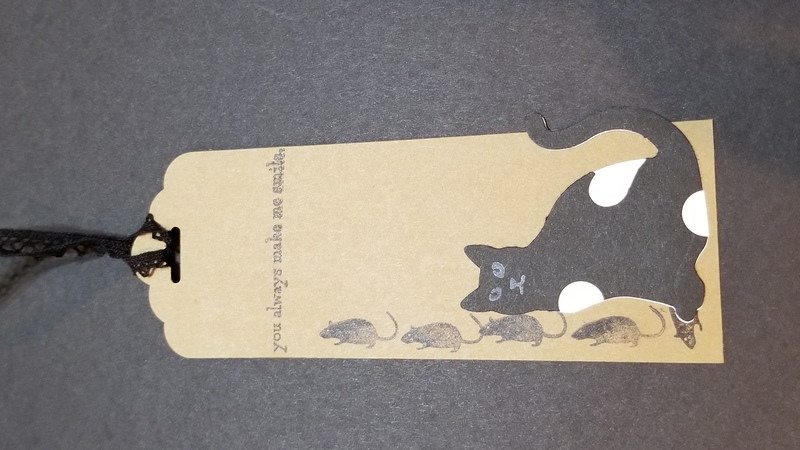 On the scrap Whisper White – Stamp your sentiment in Basic Black ink. Use Layering Oval framelit to cut with Big Shot, and adhere with glue dots to the top of the ½” strip (this will be the bridge). Set aside. Run the Christmas Tree & branches through Big Shot on the Silver Foil paper… you will need 7 large branches and multiple small branches. Adhere the tree to the center back panel with multipurpose glue. Use multipurpose glue to adhere the large branches first to the solid tree and fill in with the small branches. Now we fold the card base in mountains & valleys. Fold in-ward at 2 ½”, then back at 1 ¼” on the left, in-ward at 5 ½”, then back at 6 ¾” on the right. Burnish the folds carefully, your tree is in the center. Remove the release paper & line up your bridge piece (below the DSP line) and adhere the left side. Use another piece of tear tape or snail to adhere the DSP in place. Fold the left side of your card down with the right side extended. Remove the release paper & line up your bridge piece (below the DSP line) and adhere the right side. I used another piece of tear tape or snail to adhere the DSP in place. Swipe Wink of Stella all over the BB card stock – set aside. Run 6”x2” DSP through big shot with Triangle framelit 3 times. Stamp sentiment on WW scrap 2”x3” and punch with Lovely Label punch. Stamp a petal of the tiny flower from Christmas Quilt in each corner. adhere DSP 5 ¼”x ¾” to BB with snail. adhere the Everyday Label with Dimensionals to the right. Paper Pumpkin, A Season of Style! Subscribers are going to be so excited because their holiday season has just improved. Why do you ask? Because Paper Pumpkin Coordinates two months in a row with A Season of Style! August gave you half-off for (new) September subscribers. September subscribers are going to love the Fall based kit. Now Paper Pumpkin announces A Season of Style! coordinating kits for October & November. These kits can be stand alone kits, but it is so cool that they coordinate with each other! Kits from, this time, last year were great and you can see what I created with them. Go to Paper Pumpkin to sign up before the 10th to be sure to get your kit on time! Posted on September 22, 2017 September 14, 2017 Categories UncategorizedLeave a comment on Paper Pumpkin, A Season of Style! My first thought on this Pick a Pumpkin bundle was “not for me…too seasonally proprietary, doesn’t look real”. However, I am slowly coming around to see that this set can be versatile. I couldn’t get over how real the pumpkins look when stamped on our glossy white paper. 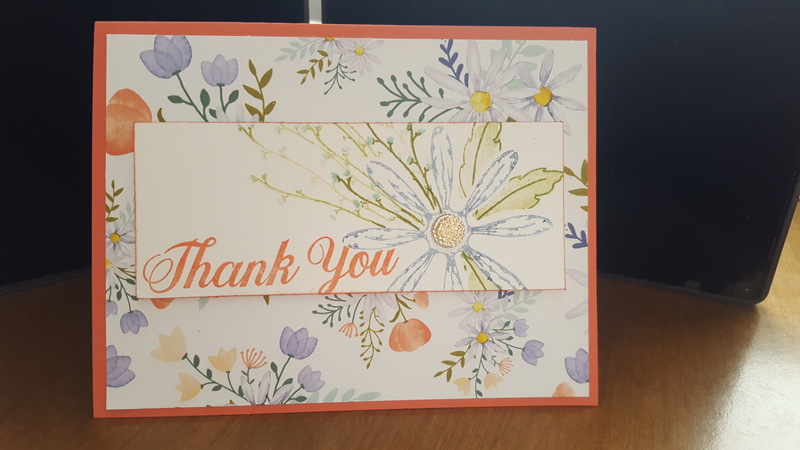 For my card, I used the little branch to stamp a background on Thick Whisper White card stock to create my own DSP. To make the pumpkins more realistic, I used Peakaboo Peach ink pad and stamped off then highlighting is done with our Stampin’ Write markers before I stamped onto the Glossy White card stock. I used the Patterned Pumpkin Thinlits to cut them out. 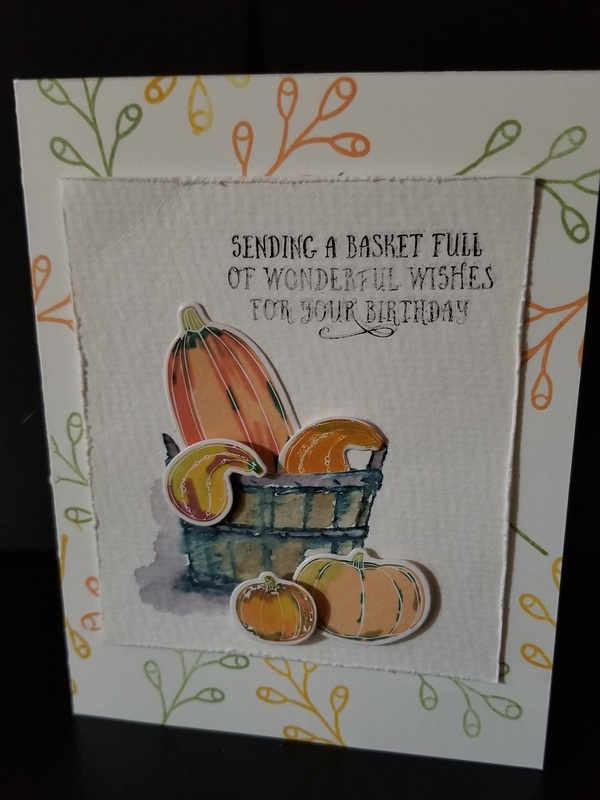 I stamped from Basket of Wishes set on Water Color paper and used my aqua brush to color in the basket. I cut a slit at the top & inserted my pumpkins and used mini-dimensionals for the ones outside the basket. I had a little issue with my sentiment…my ink pad needs replaced. Look for Pick A Pumpkin in the 2017 Holiday Catalog on page 51.
these awesome tubes and all the bits & pieces that go along with them. 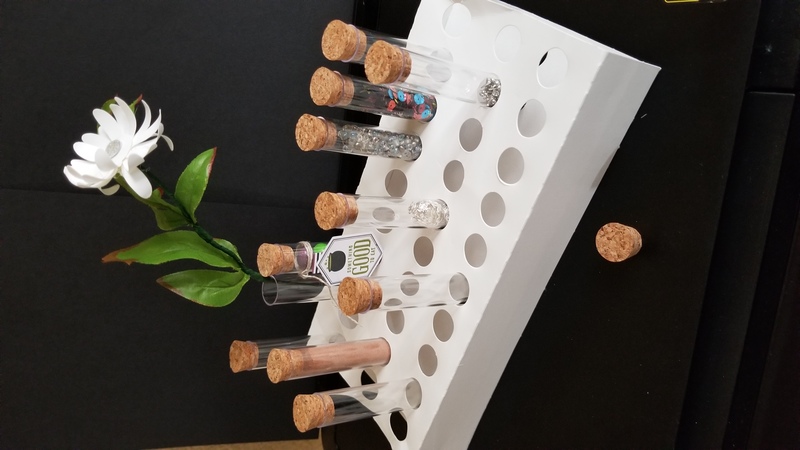 Test Tubes come in a pack of 12, they are plastic so you don’t have to worry so much if you drop one. Find them on page 53 in the Holiday Catalog or shop my online store for item #144612, they are just $5! Do you have a crazy cat person in your life? 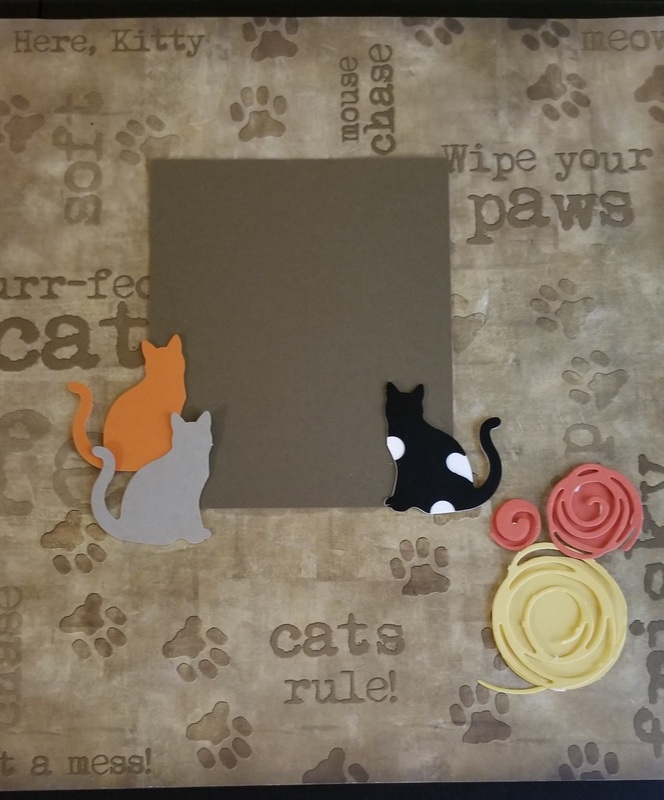 You need this punch as a gift for them…even if they are not crafty, they will love it…they will have paper cats everywhere just because it is so much fun to use. This punch is the hottest item out there! Today we are spotlighting the versatility of this crafty tool. How about a book mark? Yes, they are still a thing! People still read a real, physical book and need to mark their place. 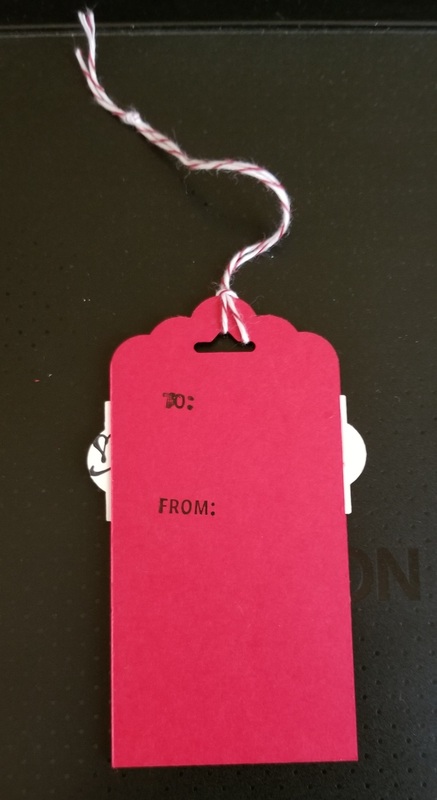 You can also make a tag for that oh so special package. What is Paper Pumpkin? How do I get one? What is Paper Pumpkin? Crafting for the “un-creative”, relaxing for the over-scheduled, or just time for me! What is Paper Pumpkin? Paper Pumpkin is FUN! I don’t do subscription services normally. I want to buy my own supplies or products and make what I want to make. However, Paper Pumpkin has changed my thoughts on this just a bit. Don’t get me wrong, the first few kits I got were fabulous, then a couple of duds (in my opinion), then more and more fabulous kits keep coming. Every month is a surprise, and I love surprises. box and it comes once a month around the 16th or 17th. Your first kit even includes the block for your stamp set, the only thing you add is snips & love! You can pop your snips in the box and take it on vacation with you, take it to the doctor’s office (we all know your appointment is more of a suggestion), take it with you while you wait on the kids at practice (sports/clubs/drama), or simply take it to the coffee shop and enjoy 30 minutes of quiet creativity. When life gets in the way, I save my kits because I know things will slow down and I can schedule some Me Time! What is Paper Pumpkin? 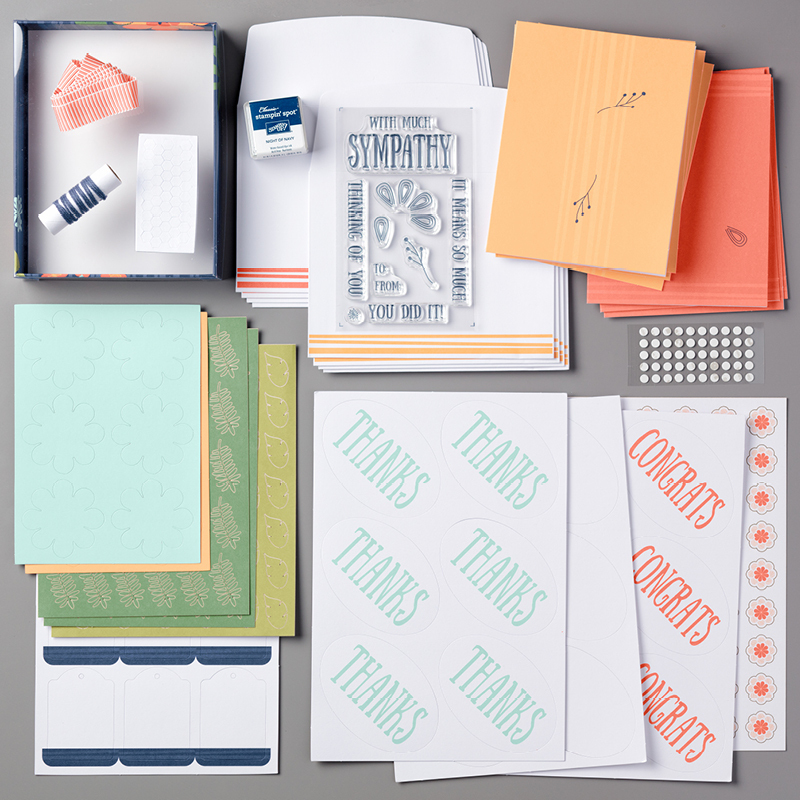 Cards, 3-D projects (such as cake boxes or decor), party favors (goody bags), banners, scrapbooks, or planners. You will learn new techniques and build a collection of stamp set that will get your creative side going. Once your creative juices start, you will come up with alternative projects for the supplies. Did I forget to mention, there is always a little extra supplies in the box! You can create all kinds of alternative projects with those extras…Paper Pumpkin is FUN! Really like what you got this month or in the past. 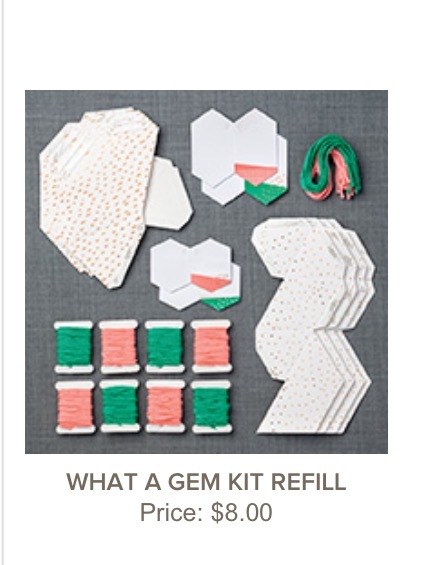 …check the store for past kits and refills. This changes all the time and is updated regularly. How do I get one? You can get it month-to-month, 3-month, 6-month, 12-month, or automatic monthly. Click here to subscribe to some quality ME-Time! If you need to put it on hold for a month, easy peasy – just go to your account by the 10th and place the order on hold. Posted on September 12, 2017 Categories UncategorizedLeave a comment on What is Paper Pumpkin? How do I get one? Welcome to my Product Spotlight. Today I will be showing you this beautiful black vintage crochet trim. This beautiful vintage crochet trim can be used for many projects. You can create a beautiful embellishment like on card above, tie up a package or treat bag, or hang a tag or ornament with it. This vintage crochet trim is great for any season, it is soft, delicate & elegant, comes in a 5 yard spool for just $6 (US). You can find all the supplies for this project and more right here. Follow along to see more great ideas for this beautiful Vintage Crochet Trim. Where have I been the past few months? I’ve been here! I promise I have. Mostly posting directly to Facebook when I have been able. 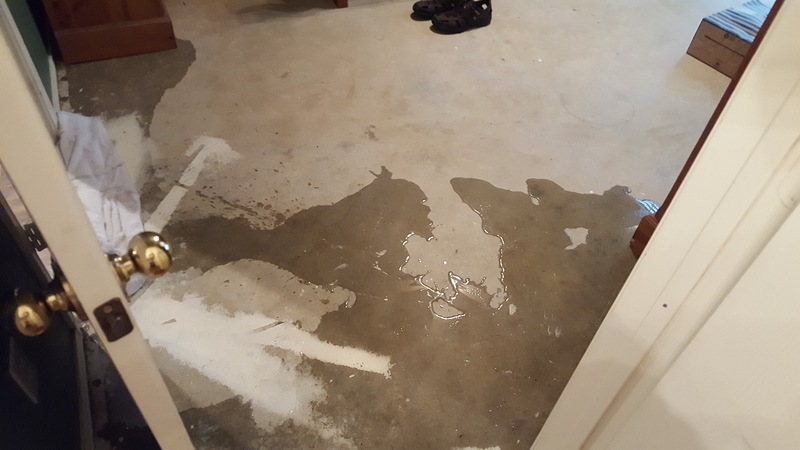 So it all began in April 2017…with a water heater breaking and flooding my house (small flood). 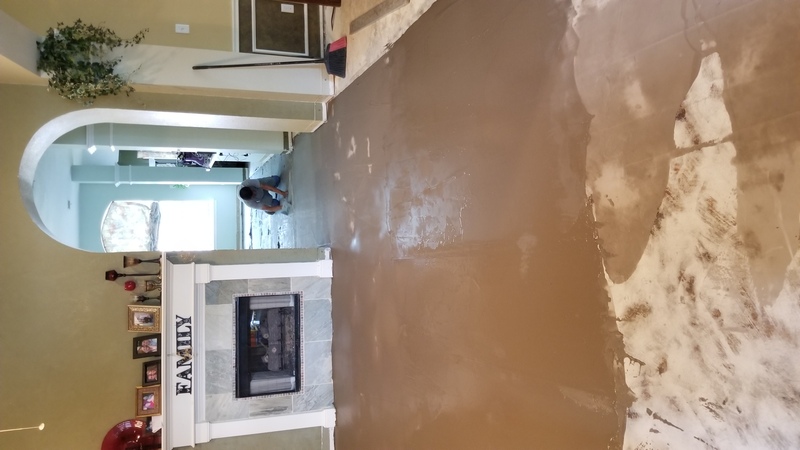 We had to have all the flooring replaced (2400sf). 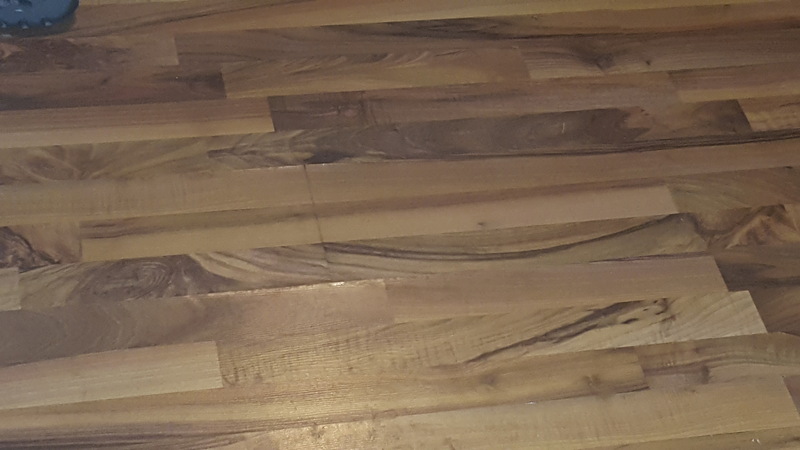 If any of you have had new flooring put in (for any reason), you understand, it is like packing to move to a new location and then unpacking again. 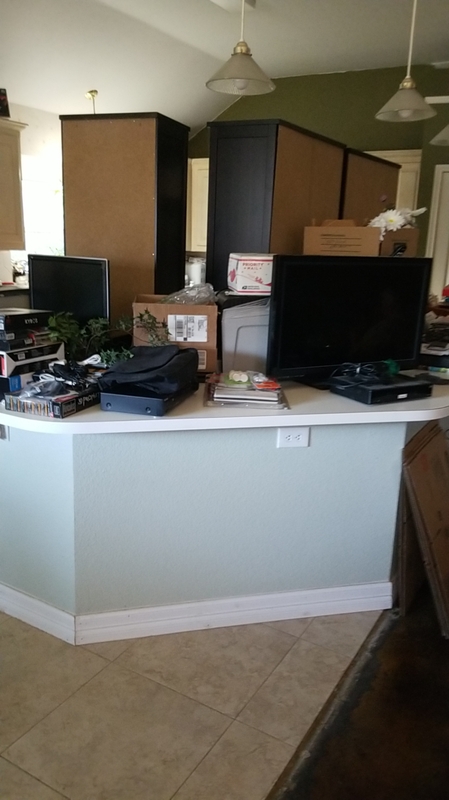 Why does it take so much longer to unpack than it does to pack things up? 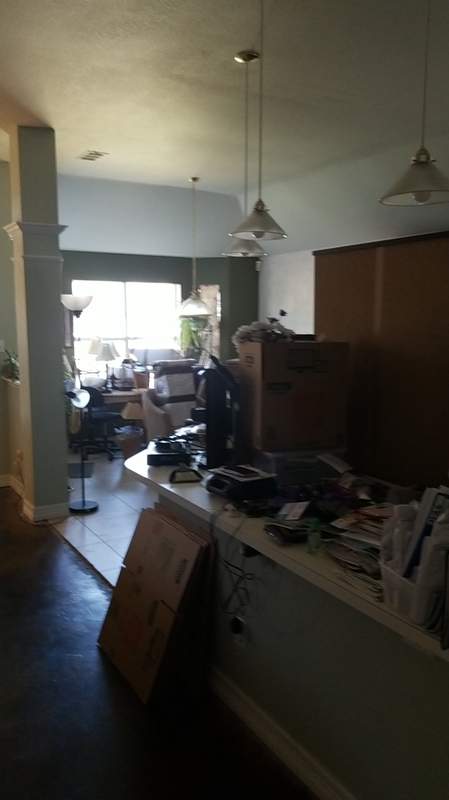 I am still unpacking 4 months later! 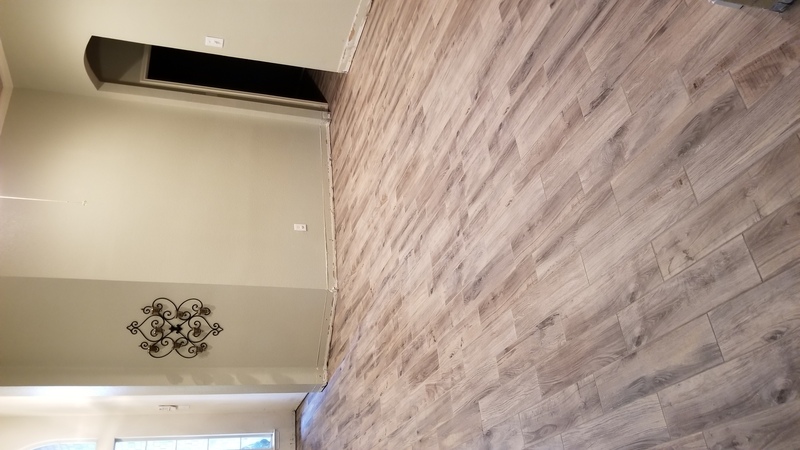 I have beautiful new wood-look ceramic floors throughout the house, but we asked them to leave the baseboards off since we wanted to replace them with taller ones. This has been a portion of the delay in unpacking. We have 3 rooms baseboards installed, 2 more to go. So here’s hoping September is the end of the unpacking. Here’s a few pictures to give you some perspective. This is what I have been doing. In between all this floor fun, I have been holding my crafting weekends, working part time for a catering company (love this), and taking a couple road trips with family & friends. This is what I have been doing. My plan for the coming months…get the holidays rolling, of course! The Fall/Winter Holiday Catalog begins tomorrow. If you would like one, contact me and I will get it to you ASAP. I will be holding Paper Pumpkin & Beverage on 1st & 3rd Wednesdays (7-9 pm) in September, October, and November at the Starbucks on Cross Timbers & Garden Ridge in Flower Mound. I will have the current months (August) kit with extra supplies to work on and show you some alternative ideas from the kit contents. I will also have a few past kits for sale and hope to entice y’all to join the fun with a month-to-month subscription. 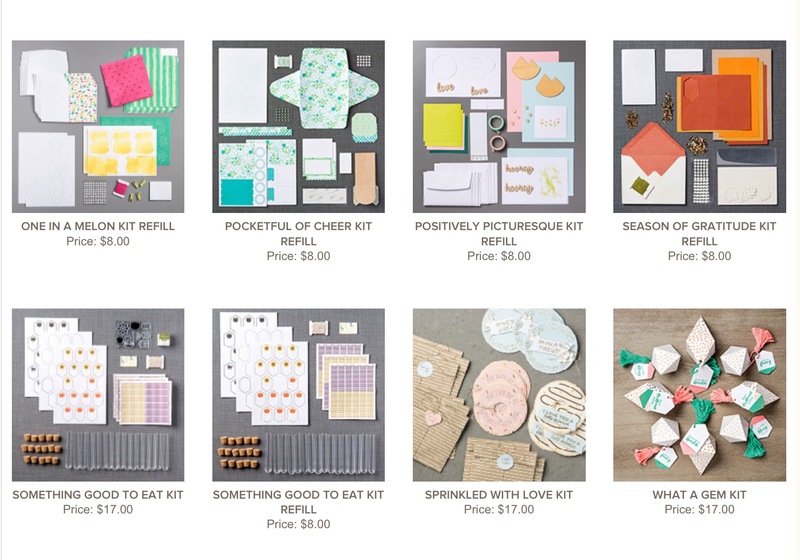 Septembers kit will be half price ($9.98) if you subscribe by September 10th. The season is starting with Stamp-a-Stack Holiday cards at September’s crafting weekend, September 22 @ 5-8 pm. I will have 5 each of 4 designs. You will go home with 20 cards. I need R.S.V.P. from anyone that wishes to attend, it is either $25 cash or minimum $25 product purchase to attend. You can pre-pay right here or contact me to R.S.V.P. If you want to earn an exclusive stamp set that will never be in a catalog, I can do that for you. 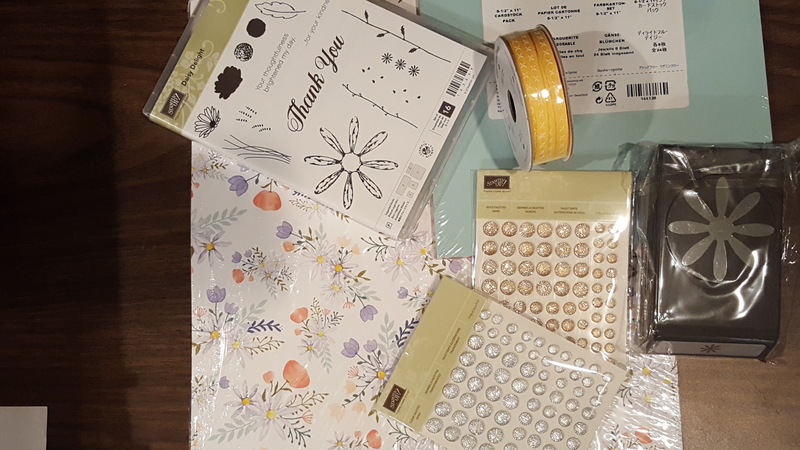 September 1st through October 31st, hold a Class/Party/Catalog/FaceBook party with $300 in sales and you not only receive the hostess rewards (based on sales), you will also get the exclusive Merry Patterns stamp set. The only way to get this stamp set is to EARN it. You don’t even have to clean your house before & after the event, because you can hold it at mine in my craft studio! Just invite your friends and I will do the rest. Contact me to set up your date before my calendar fills up! So there you have it, that is where I have been. Posted on September 2, 2017 Categories UncategorizedLeave a comment on Where have I been? What have I been doing? Welcome to The Remarkable InkBig Blog Hop for May 2017. This month our theme is “SNEAK PEEK”. 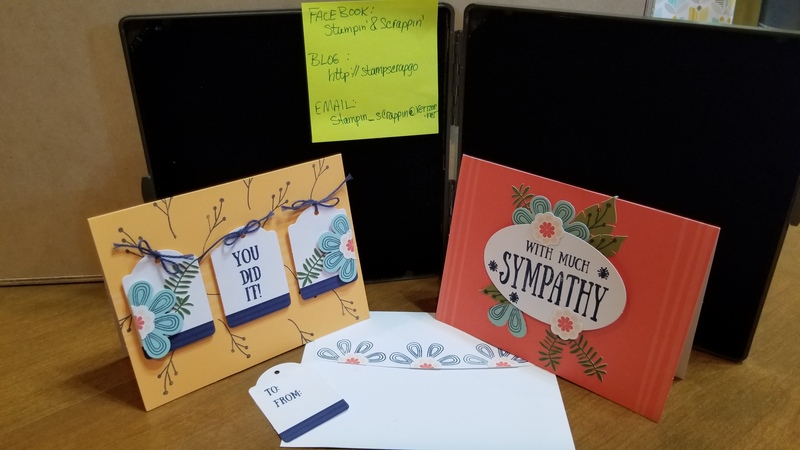 You may just be starting the blog hop here at my blog – Francine Wilson or may have come from the person previous to me in the list. If you get off track at any time, the full lineup can be view by clicking on the link below. It will help you move along from blog to blog so you see all the projects. 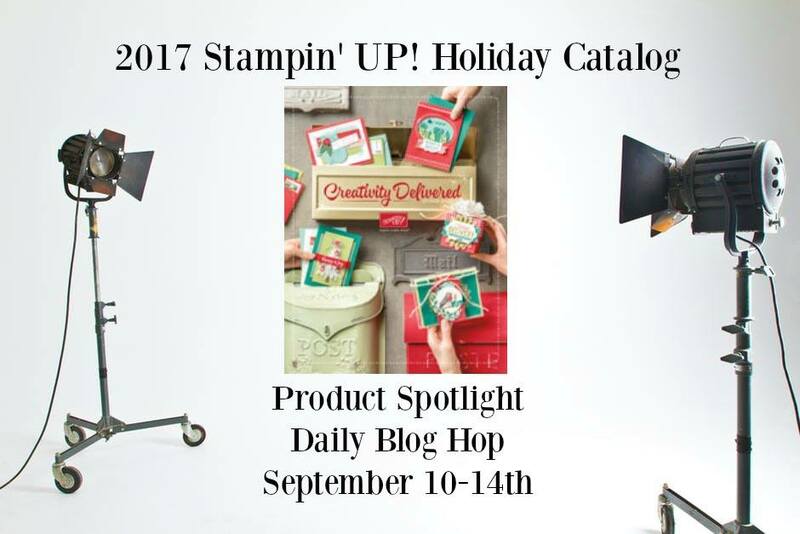 I have been playing with all the fun new product coming out on June 1st with the new 2017-2018 Stampin’ Up! catalog! My focus today and I had so much fun with the new Delightful Daisy Suite. This suite comes with a beautiful Designer Series paper 12″x12″ and coordinating card stock pack, very versatile stamp set with a coordinating punch, there are faceted gems in silver & gold, and beautiful double-stitched ribbon. 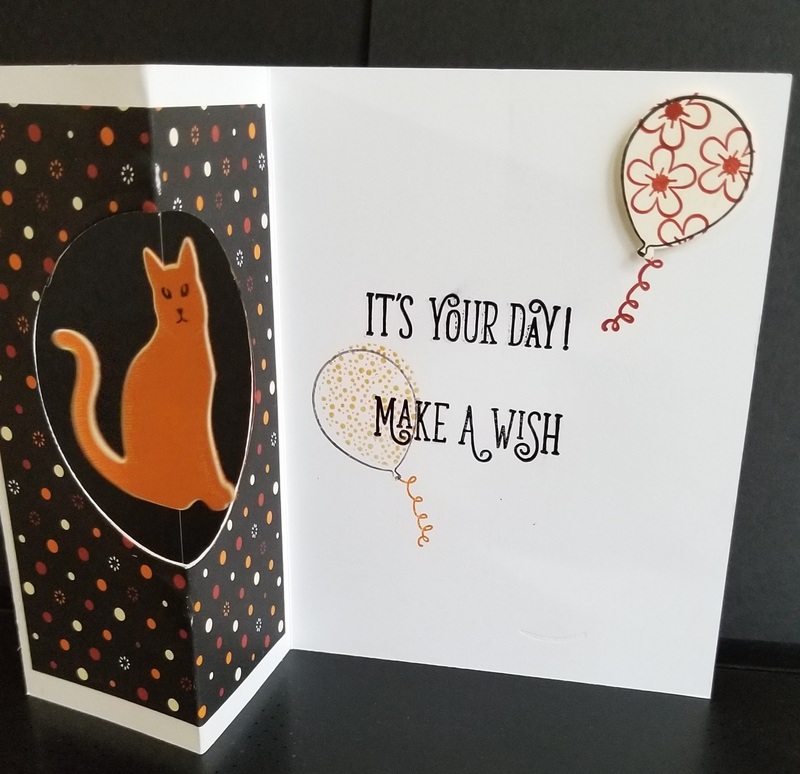 Check out one of the cards I made with this suite, I have included all the instructions for you! Adhere DSP to card base & set aside. On right side of Whisper White, stamp large daisy with stamp-off method (stamp off 2-3 times) Using Night of Navy. Punch a daisy from the Post-it to mask your stamped daisy & stamp leaf outline with Old Olive 3 times. Using stamp-off method, stamp the leaf fill with Old Olive. Continue using Old Olive ink, stamp the long twig multiple times on left of daisy, achieving faded effect. Using Night of Navy ink, stamp flower buds on twigs with same fading effect. Remove your daisy mask. Stamp your sentiment with Calypso Coral to the lower left. Adhere to matted card base with dimensionals. Easy-Peasy! Thanks for taking part in our blog hop, there are so many amazing ideas and inspiration you don’t want to miss. Remember that currently you are at my blog – Francine Wilson, so check the blog hop line up list link below to see who is next in the list.